Step 1. Dial your voicemail number. Step 2. When the greeting starts to play, PRESS * (asterisk). Step 3. Enter your password when prompted. Once you enter the password, you have successfully logged into your number. Step 4. Follow the prompts to set up your mailbox's main greeting and password for the first time. Congratulations! You are now ready to begin taking messages! Step 1. After following the steps to setup your mailbox for the first time, hang up and redial your voicemail number. Step 2. PRESS the * (asterisk) key to interrupt the main greeting. Step 3. Enter your password when prompted. Step 4. PRESS 4 for "MAILBOX OPTIONS". Step 5. PRESS 2 to "CHANGE MAILBOX SETTINGS". Step 6. PRESS 5 to "RECORD YOUR PERSONAL GREETING". Once you have pressed 5, the system will ask, "Which personal greeting would you like to record?" Step 7. Select 1, 2 or 3 to record the message you would like to play when your caller presses these keys during your main greeting. PRESS # (pound) once you have completed recording. If you wish to add more extensions, we offer two other packages that provide for either 5 extensions or 9 extensions total for an additional cost. Special customization is also available. *All voicemails will be directed to the same box. 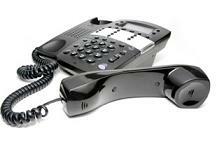 If you need separate voicemail boxes, you will need to sign up for our Virtual Voicemail Office (VVO) system. The LVO comes with one main voicemail box. Step 4. PRESS 8 to "RECORD YOUR PERSONAL GREETING". Step 5. PRESS 1 to preview the greeting you will recording over, or PRESS 2 to record. Press # (pound) once you have completed recording. Your initial password is set to the last four digits of your voicemail number. If you are unable to login, please try this first before contacting support. Step 3. Enter the current password when prompted. Step 4. PRESS 7 to "CHANGE YOUR PASSWORD". Note: You may also change your password online. Please follow the steps below to login. Online you can view your account information, call activity, listen to voicemail, read faxes, upload greetings and much more! Voicemail and faxes are preset to be delivered to the e-mail address provided on your application, which can be changed after logging in. Step 3. Once logged in, please click on the "Configuration" tab to adjust settings. You can click on the "i" icon next to each field for more information.